WASHINGTON (AP) — A brewing and potentially bitter fight over Democratic efforts to curb filibusters is threatening to inflame partisan tensions in the Senate, even as President Barack Obama and Republicans explore whether they can compromise on top tier issues such as debt reduction and taxes. A potential showdown vote to limit Senate filibusters would not come until January. Democrats are threatening to resort to a seldom-used procedure that could let them change the rules without GOP support, all but inviting Republican retaliation. That fight is looming as the newly re-elected Obama and GOP leaders prepare to use the lame-duck session of Congress that starts Tuesday to hunt for compromise on the "fiscal cliff" — the nearly $700 billion worth of tax increases and spending cuts next year that automatically begin in January unless lawmakers head them off. That effort will be contentious enough without added animosity over efforts to weaken the filibuster. Unless a filibuster compromise is reached, the dispute could produce sour partisan feelings that might hinder cooperation on legislation when the new Congress begins work in January. Filibusters are a procedural tactic that lets the minority party block bills that lack the support of at least 60 senators. Democrats seem likely to command a 55-45 majority in the new Senate, meaning 60 will still be a difficult hurdle. Frustrated by the GOP's growing use of filibusters, Senate Majority Leader Harry Reid is considering a Senate vote in the new year to limit their use. "I think that the rules have been abused and that we're going to work to change them," Reid, D-Nev., told reporters this past week. "We're not going to do away with the filibuster, but we're going to make the Senate a more meaningful place, we're going to make it so that we can get things done." Democrats say that vote to change the rules would require a simple majority of senators, and they argue that the Constitution lets Senate majorities write new rules for the chamber. That, in effect, would mean Democrats could change the rules over GOP opposition, assuming 51 Democrats go along. 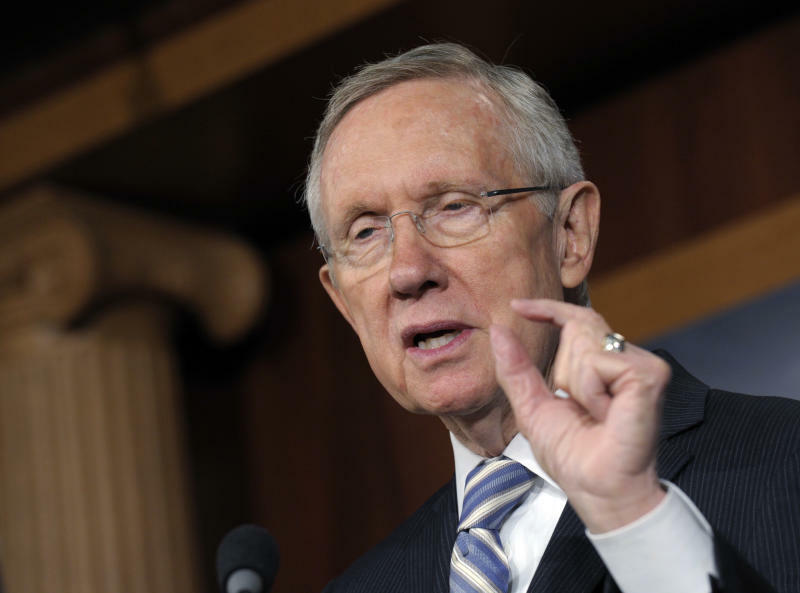 Republicans say they filibuster legislation because Reid blocks them from offering amendments. They also note that Senate rules require that the body's procedures can be changed only by a two-thirds majority. Changing Senate rules by simple majority, rather than a two-thirds vote, is rarely done and referred to as "the nuclear option" because it is considered an extreme move that can trigger all-out partisan battling. The Senate's arcane procedures require the consent of all senators to do almost anything. An embittered minority party can use the chamber's rules to force repeated votes and delays that can grind work to a virtual halt. Don Stewart, spokesman for Senate Minority Leader Mitch McConnell, R-Ky., would not say what Republicans would do should Democrats try changing the rules by simple majority vote. "We hope Democrats will work toward allowing members of both sides to be involved in the legislative process — rather than poisoning the well on the very first day of the next Congress," Stewart said. Republicans also note that in public remarks Reid made on the Senate floor in January 2011 during a discussion with McConnell, Reid agreed to oppose "any effort in this Congress or the next to change the Senate's rules other than through the regular order." That was a reference to Senate rules requiring two-thirds majorities for rules changes. Democrats say it is Republicans who broke the January 2011 informal deal the two leaders discussed because McConnell said he would use procedural delays "with discretion." Instead, Democrats say, Republicans frequently have used stalling tactics to prevent the Senate from even beginning to debate bills. They then bog down debate by insisting on votes on piles of amendments, including many on unrelated issues that are designed to score points in future election campaigns, Democrats say. Reid wants to prevent filibusters on "motions to proceed," which let the Senate begin debating a bill, and aides say he might consider other restrictions as well. 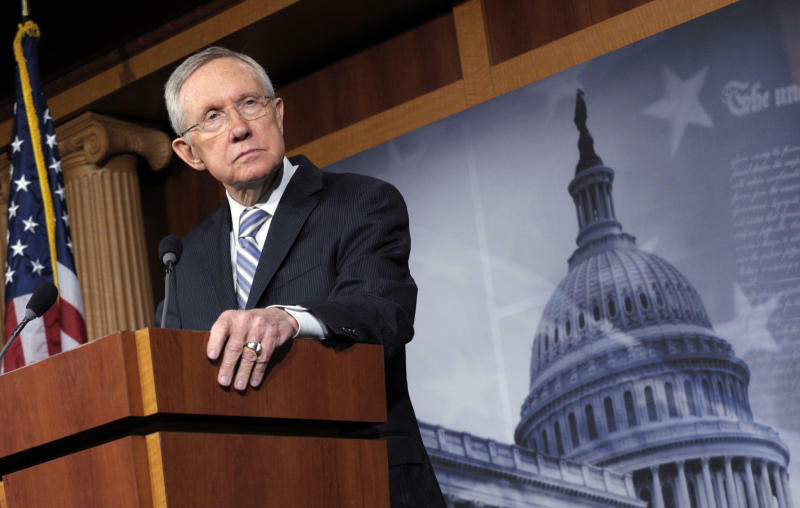 Reid plans to discuss it with fellow Democrats in the postelection session. Discussions with McConnell could occur as well, Democratic aides said. Democratic Sen. Jeff Merkley of Oregon has proposed filibuster limits that include requiring senators delaying legislation to talk continually about it on the Senate floor, much like the senator portrayed by the actor James Stewart did in the 1939 movie "Mr. Smith Goes to Washington." That type of filibuster has been extremely rare for decades. The use of filibusters by senators, usually those in the minority, is one of the key ways the chamber differs from the House, where the rules usually let the majority prevail unimpeded. Senators in the majority often complain about the minority's excessive use of filibusters, but are usually cautious about limiting the procedure because they know their own party can fall back into the minority after any election. According to the Senate Historian's Office, the number of "cloture petitions" — a procedural step that sets up a vote to end a filibuster — was 68 in the two-year session of Congress running from 2005 to 2006, the last time Democrats were in the minority. But that number has exceeded 100 for each of the past three two-year sessions, all of which have seen Republicans in the minority, peaking at 139 in the 2007-2008 session. There have been 109 in the current 2011-2012 session, with several more weeks of lame duck meetings expected. Reid spokesman Adam Jentleson said that while Democrats are open to compromise, McConnell "has got to know that the American people on Tuesday completely rejected his entire approach to governing, obstruction and gridlock at every turn." McConnell spokesman Stewart said Republicans already compromised in the informal 2011 agreement that Democrats broke. "Doing hyperpartisan actions doesn't lead to partisan compromise," he said.